The RX stoves have a three-sided boiler surrounding the firebox as well as heat exchanger tubes above, allowing them to capture all available heat and pass it into the heating circuit or a thermal store. The firebox is lined with vermiculite to guarantee a high firebox temperature and a controllable, clean and efficient burn. There is full control over the primary and secondary air, to allow slow burning, and the built-in draught control valve ensures that the optimum draw on the fire can be maintained at all times. 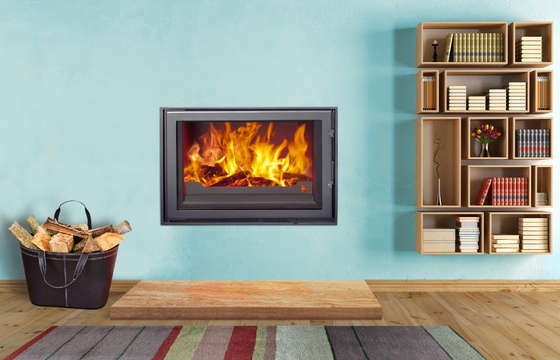 The Panorama models function in the same way as the rest of the RX range, but offer a wider firebox and give an even better view of the fire.